The Event U | Real World Event Education | Get Your FREE Ebook today! Ready to break into Corporate Events? Then you need this guide! 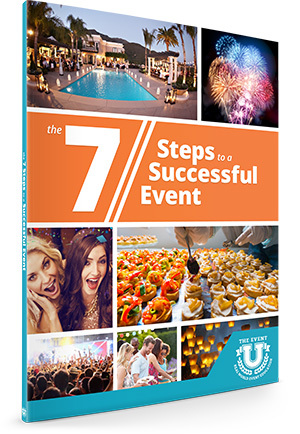 This ebook outlines the 7 critical steps to a successful event and is your essential guide whether you’re already in the business and looking to up your game, or have been thinking of launching your own corporate events business. It has everything you need to start producing KILLER corporate events now! By signing up, you agree to receive email updates from The Event U. We will not give out your contact infromation to anyone, ever. You may unsubscribe from this mailing list at any time. © 2015 The Event U. All Rights Reserved.